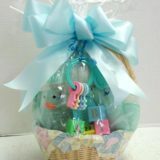 Age appropriate, from pre-school to college, let us design and deliver the perfect Back to School gift basket for you. From crayons to pencils, from notepads to rulers and pens, let us know the age or class of the student and we’ll work our magic for you. Call 602-246-0672 for items and pricing. 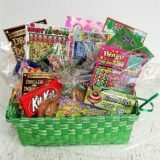 Designed to be age appropriate, this Middle School Gift Basket from Basket Express can be designed for your kindergartner, young student, middle school student, high school student or college pro. 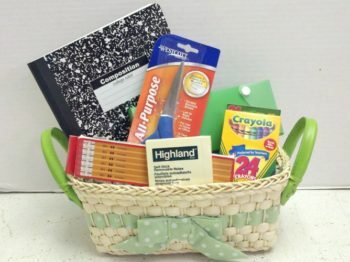 Each gift basket contains the items necessary to work at the grade level, which might include crayons or a compass, notepads or an artist’s pad, pencils or pens, a coloring book or Sudoku. 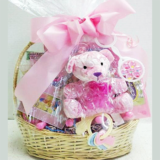 It’s the perfect gift from grandparents who want to share in a special day because you help us custom design this gift basket by telling us all about your grandchild! 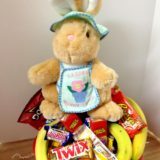 My grandchild will be 2 in August so she’s not ready for a Middle School Gift Basket (yet) but maybe yours is! Schools in the valley start in August. 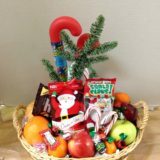 College age students appreciate this gift basket when it’s filled with bakery-style chocolate chip cookies, brownies and more! 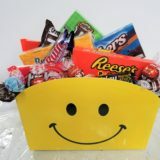 Let us custom design your gift basket today!